30048 Spring River Drive Southfield, MI. 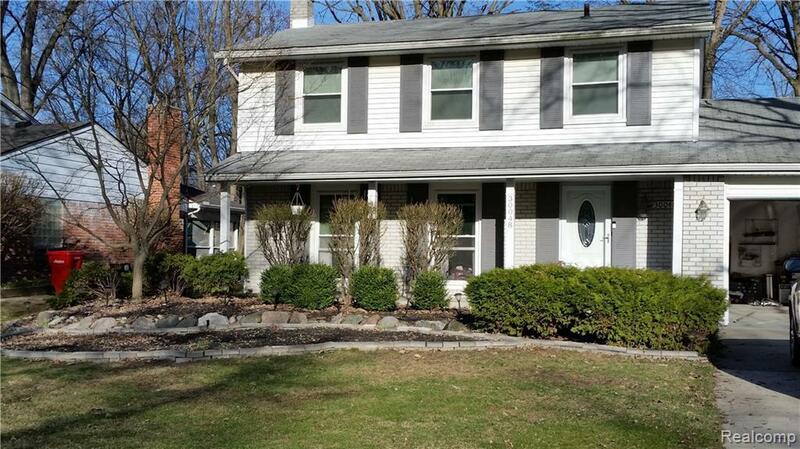 | MLS# 219031000 | The premier resource for all real estate information and services in Metro Detroit. DON'T LOOK ANY FURTHER! ALL THE WORK HAS BEEN DONE!! NEW WINDOWS AND WOOD FLOORING THROUGH OUT!! NEW KITCHEN COUNTERS, NEWER CABINETS WITH UNDER CABINET LIGHTING, UPDATED BATHROOMS, NICE SIZE BEDROOMS...A BRAND NEW 2ND FAMILY ROOM WITH RECESSED LIGHTING READY TO ENTERTAIN WITH FRENCH DOORS AND WITH ONE OF THE TOP GAS HEATING SYSTEMS, FAMILY ROOM WITH RECESSED LIGHTING, PARTIALLY FINISHED BASEMENT WITH FIREPLACE...TOO MANY UPDATES TO LIST!!! BIRMINGHAM SCHOOLS!!! BEAUTIFUL FAMILY FRIENDLY NEIGHBORHOOD ...DON'T MISS OUT!! EASY SHOWINGS! !